Clean and simple sketch for The Paper Players . . . . Anyone who knows me, knows that “clean and simple” is NOT my style!! 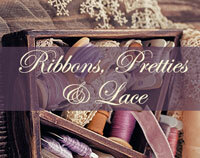 Copious amounts of lace, fabrics, ribbons, flowers, and anything vintage . .. THAT’s “me”!! However, it’s good once in awhile to stretch outside our comfort zones and try something different . . .so every once in awhile I like to do a “clean and simple” (CAS) card. This week’s sketch challenge from The Paper Players presented the perfect opportunity! I’ve been working with navy blue cardstock the last few days, doing final preparations for my monthly stamp clubs next week, so I grabbed yet another piece of navy, some pretty designer paper from Stampin’ Up, and did this card. 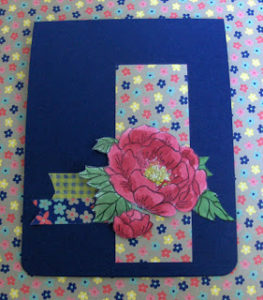 The beautiful flower stamp is one of my favorites; “Birthday Blooms” from Stampin’ Up. I colored it with an aqua painter and Cherry Cobbler ink, with some Daffodil Yellow for the center, topped with some clear Stickles bling. 3 Responses to Clean and simple . . . I love the colors in this paper and you've accented them beautifully with the big, bold flower! Great job with the sketch…thank you for joining us at The Paper Players! Oh my navy loving heart!!! Your card is beautiful Janice! Gorgeous flower! Thanks for joining The Paper Players this week! Very pretty…I love this DSP but find it intimidating to use, but your card works perfectly! Thanks for playing with the Players and making my sketch look great!